Two weeks before Christmas, Madison rushed to work excited about her office Christmas party. In the passenger seat sat her favorite go-to holiday recipe, chocolate-covered cashew clusters. All ten of her co-workers at the dental clinic loved her homemade candy and insisted she bring the same treat year after year. 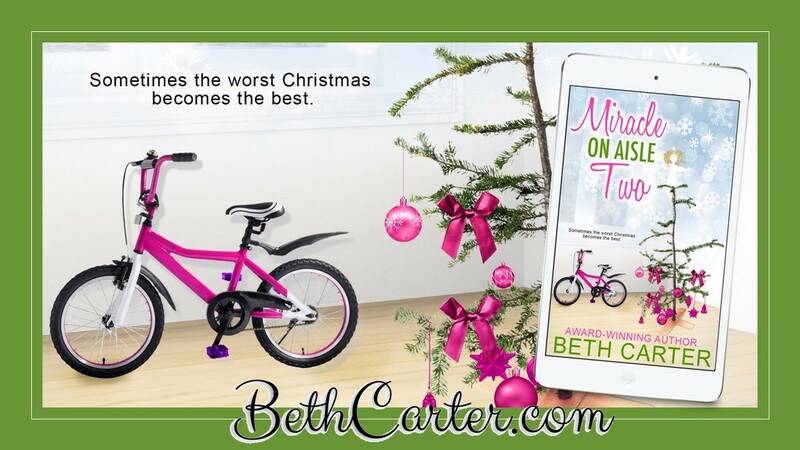 Dressed in a black Christmas sweater featuring a smiling Santa with an extremely long white, furry beard, Madison hummed along to Have Yourself A Merry Little Christmas as she anticipated the secret Santa gift exchange. Employees always brought a wrapped five dollar gift, drew numbers, and either opened a new present or stole one of their co-worker’s gifts. Last year she ended up with a goofy sock monkey. The upside was her five-year-old daughter, Betsy, had loved it. At a stop light, Madison checked her sparkly red lipstick. She loved the holidays—and parties. This is going to be one of those perfect days. I can feel it. After she parked, Madison frowned as she glanced around the almost-empty lot, plus the dental office appeared dark. That’s weird. I wonder if this is some sort of surprise party where everyone is hiding inside and had to park elsewhere. If so, I missed the memo. Madison drove to the corner of the lot just in case, parked, and lifted her container of chocolate cashews. As she stepped over a pot hole, a gold bell atop Santa’s red stocking cap jingled. Usually, the sound made her happy and festive. But today, something was off. As she approached the steps, she squinted when she spotted a handwritten note on the front door. 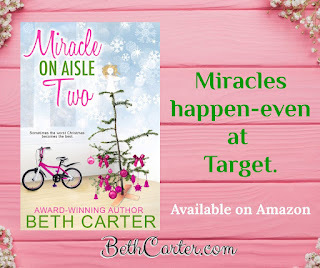 After being a bank vice president and a hospital public relations director, Beth Carter shed her suits, heels, and waved good-bye to corporate America to pen novels and children’s picture books. Winner of the 2017 RAVEN Award, 2015 RONE Award, and named Best Debut Author in 2015, Carter writes rollercoaster romance and women’s fiction. Her debut, THURSDAYS AT COCONUTS, received two coveted awards. The author received Favorite Contemporary runner-up in 2017 for her contemporary romance SLEEPING WITH ELVIS. 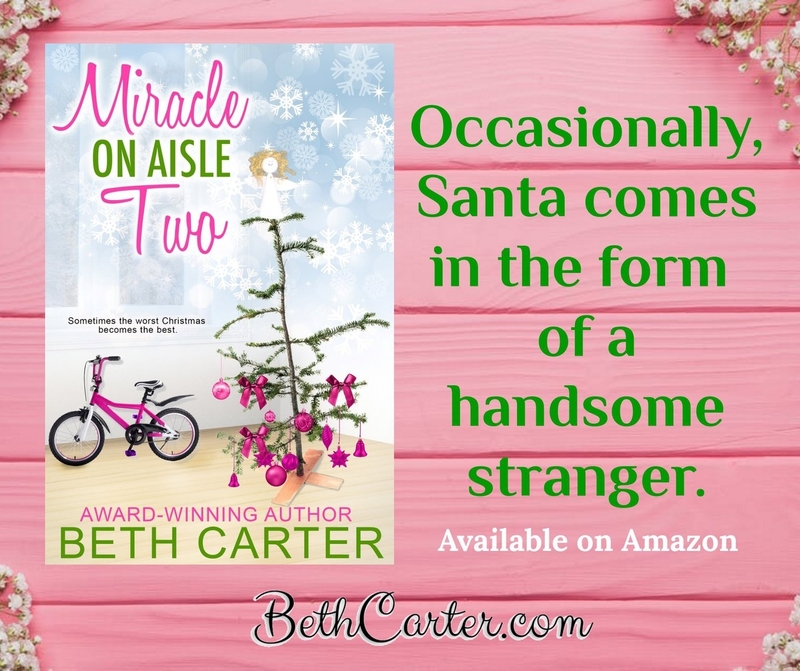 Carter has a Christmas novelette, SANTA BABY in an eight-author collection, SIZZLE IN THE SNOW. 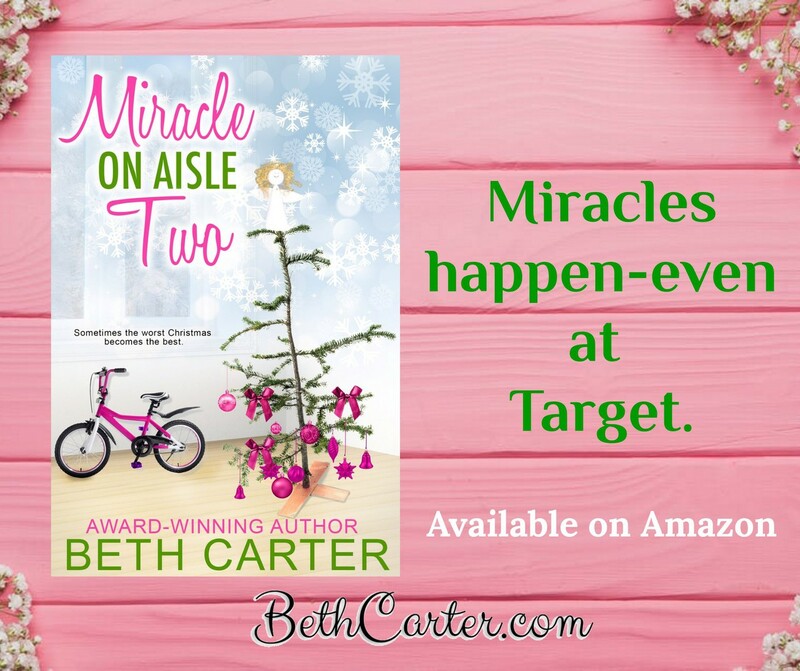 Her first novella is MIRACLE ON AISLE TWO. Carter’s four children’s picture books include SOUR POWER, WHAT DO YOU WANT TO BE?, THE MISSING KEY, AND SANTA’S SECRET. Additionally, the author has several short stories and poems published in five anthologies. Her six-word memoirs appear in numerous collections alongside famous writers and celebrities. 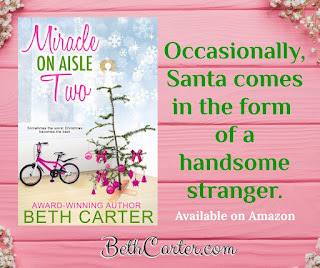 Beth Carter was born and raised in the Midwest. She and her husband divide their time between Missouri and Florida. 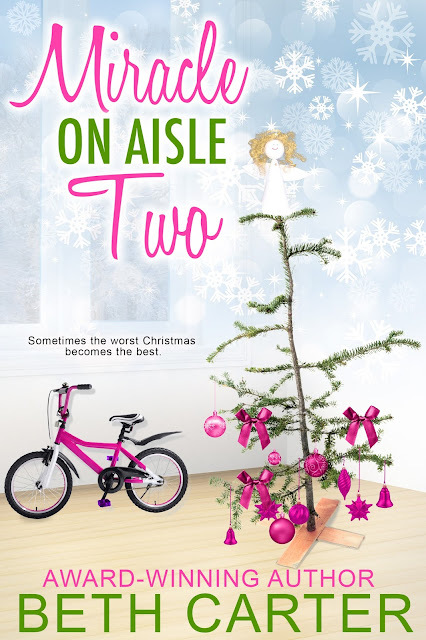 Thank you for hosting my new Christmas novella, MIRACLE ON AISLE TWO,Tami! I'm excited to meet new readers and appreciate your efforts! I guarantee my heartwarming, holiday romance will get you in the Christmas spirit.